This post is for Dom at Belleau Kitchen's A Random Recipe. I was quite intrigued by this challenge when I saw it in Phil's blog. Like quite a few people, I have a pretty large collection of cookbooks. My collecting has tapered off a bit in recent times, as I had to give up a significant part of my collection as part of the big move. But I still retained a sizable collection, and, like most people I know, I tend not to use them as much as I should. So this challenge was perfect for dusting off the shelf and making something different. The rules said the book had to be picked randomly and the recipe too. So, as suggested by Dom, I brought down all the books from the cupboard (I have been meaning to sort them out for ages! ), and ran my finger over the spines. I got Aditi to count to ten, and at the count of ten, stopped, and my finger was on this book here. Then I opened it up, again randomly, and the recipe that showed up was this one. Egg masla. I think I lucked out really :-) I had everything I needed to make it almost straightaway, except the vinegar, but that didn't matter. So I rushed into the kitchen, and rustled it up for our evening meal. It took less than half hour to put together, and tasted just like my dear mum's (co-incidence?). I wonder if I can get Dom to make this challenge a monthly one, as I can just see myself doing this random thing fairly often now. What a good idea it turned out to be! And even better, my cookbooks are now all neatly organised alphabetically and by cuisine type and are all dust free and clean! Boil and peel the eggs. Cut them in half lengthways. In a sauté pan, heat the oil, then fry half the sliced onions till they are transparent. Add the spices, and fry for another few minutes, stirring. Add the remaining onion, chopped ginger, salt and diced tomatoes. Fry for about 5 – 7 minutes, until the tomatoes are soft. Add roughly 1 cup water to the mixture, and simmer till the curry is thick. Stir occasionally. Taste, then add a little lemon juice or vinegar. Adjust seasoning. 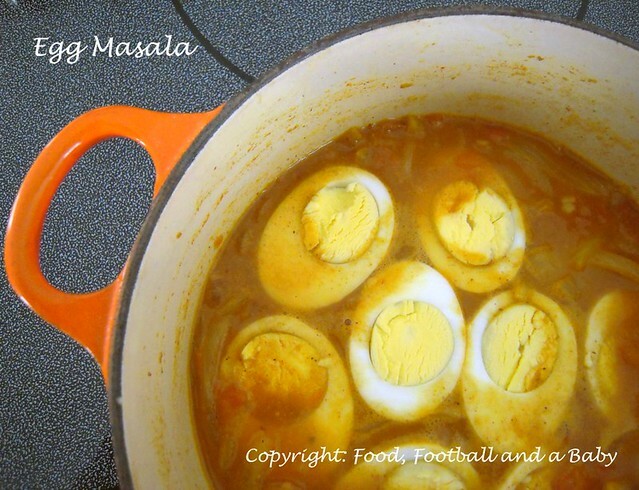 Gently lower the eggs into the curry, and take off the heat. Wow! I've never heard of egg massala so this is really interesting for me and like you I have all these ingredients already. I love the way this seems to be opening up so many different dishes to everyone. Thanks so much for taking part. I will be doing a round up on my blog at the end of the month. @May, I wondered about that :-) Yes, he has good recipes doesn't he? I find the recipes a bit vague sometimes, and they have to be interpreted, but whenever I have tried some they have been so good. @Dom, sadly I didn't get to try out any complicated recipes, as I didn't cheat :-) Its a great idea, I am sure you'll get loads of entries and all different styles at that. Are you planning to make it a monthly do? 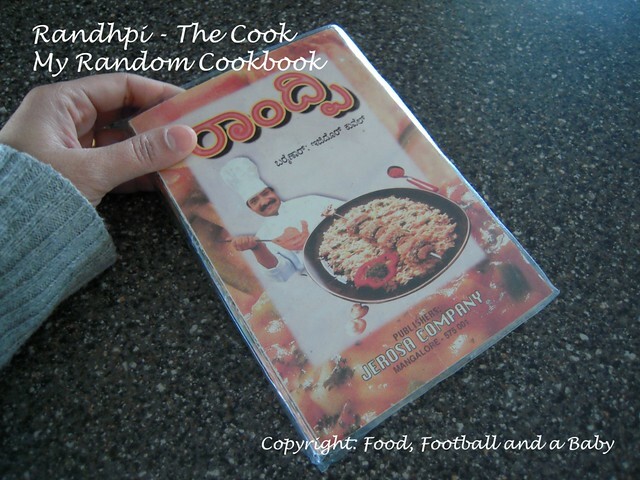 Nice recipe - it feels good to rediscover forgotten books and recipes like that. I'm hugely impressed that you've organised your books - I don't think I'll manage that any time soon. What a great challenge. I think it should be monthly too! 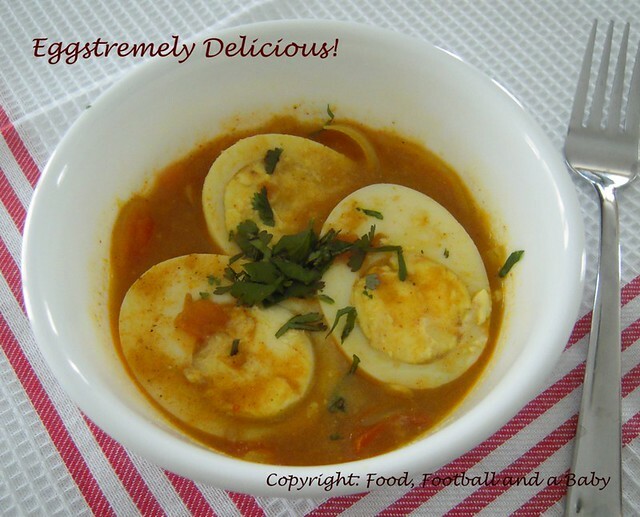 I wasn't sure at first about the thought of curried eggs, but once I read the ingredients, I thought yum! Mmmm, this sounds deliciously spicy. 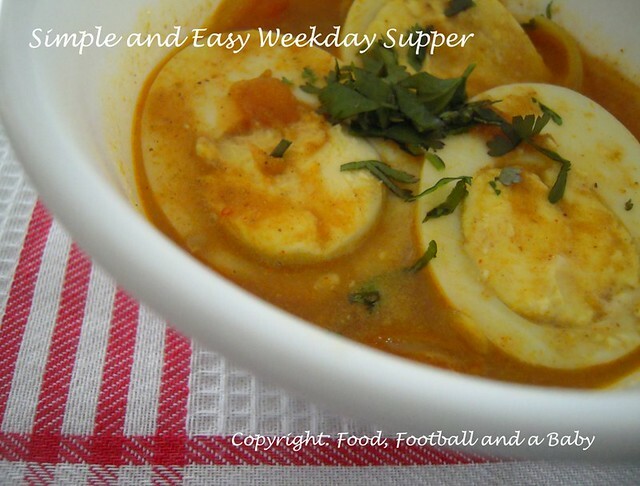 Been meaning to cook a simple egg curry for work for ages... Thanks.